Education Game News. Rocky Mushrooms. P42 Release date 05.05.2016 year. On focus a new Planeta 42 knowledge puzzle in Nature category. 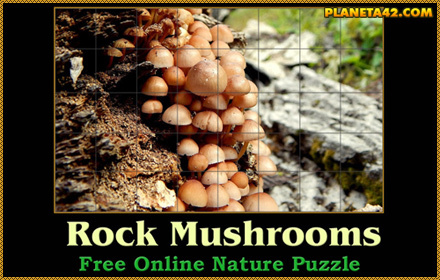 Rocky Mushrooms Puzzle is a rotating squares puzzle with a wild mushrooms growing on a rocky slope.